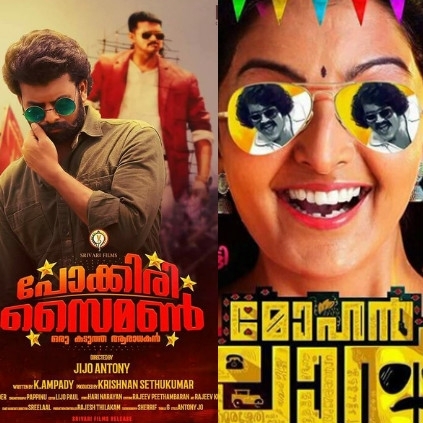 THE SIMILARITY BETWEEN TWO MALAYALAM FILMS! There are two Malayalam movies in the making, having central characters as diehard fans of Superstars. One is the movie titled "Mohanlal" having Malayalam Lady Superstar Manju Warrier in the lead role playing the role of a huge Mohanlal fan. The other one is "Pokkiri Simon" in which actor Sunny Wayne is playing the role of a diehard Vijay fan. Even the dressing style of Wayne and his friends in the film follow Vijay's style from Pokkiri. The film has Angamaly Diaries fame Sarath, Saiju Kurupp, Jacob Gregory and Pisaasu actress Prayaga Martin in lead roles. The shooting of Mohanlal is going on in Kochi while the Pokkiri Simon team is closing on to finish their shoot in Trivandrum. The crew even released a video of the lead actors including Sunny Wayne, Sarath and Gregory singing the song 'Ella Pugazhum' from Azhagiya Tamil Magan and wishing Vijay on his birthday. Just in: Dhanush reveals exciting details about Pa Paandi 2! Dhanush's VIP 2 Official trailer! "My shooting with Thalapathy Vijay starts from tomorrow"
People looking for online information on Manju Warrier, Mohanlal, Pokkiri Simon will find this news story useful.